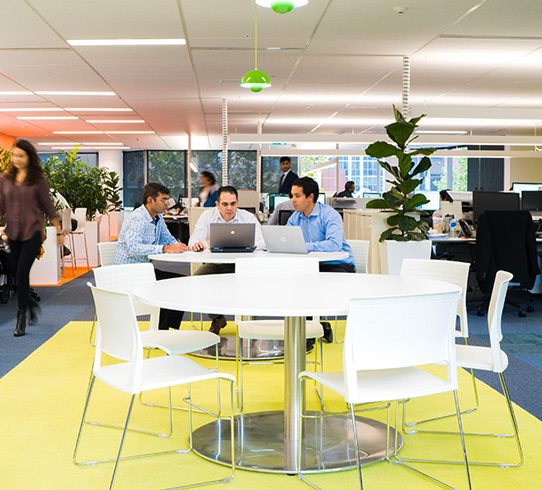 This fitout and refurbishment of the NDY offices including a conversion from traditional work space to Activity Based Working. New quiet spaces were created alongside collaboration areas, meeting rooms and offices. In total 110 workstations were installed with new carpet and feature walls.